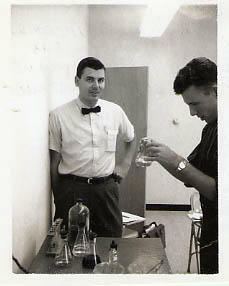 Photograph of Alfred Grohe pouring from one flask to another in the science laboratory. Photograph of Alfred Grohe "and his makeshift lab while he awaits the arrival of permanent lab equipment." 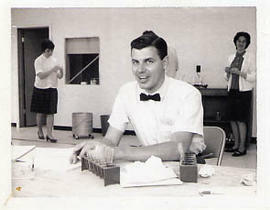 Photograph of the 1966-1967 teaching faculty.